Howdy and welcome to this week's instalment of My Week In Words! Another action packed week in the life of Bloo 'n' Stuff! 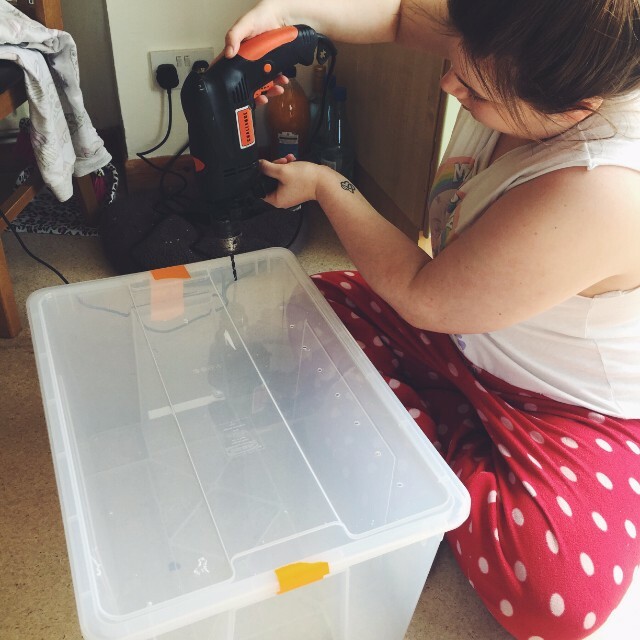 This post covers from Sunday 29th of March to the Saturday 4th of April. Hope you enjoy reading what I've been up to this week! I woke up to a fry up on Sunday and after that I chilled and worked on last week's My Week In Words, which you can read here. My aunt Karen visited as usual but the biggest highlight of the day was play time with Rue! 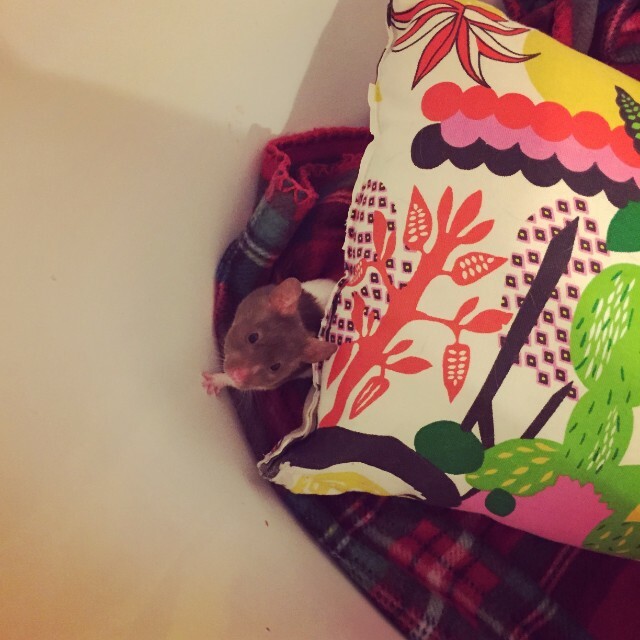 I decided to do something a little different and put a blanket in the bath and filled it with some random things for her to have a little run around. I'm not really sure it was a big hit. She had fun for a bit but then she just tried to climb up the sides because she wanted out. Here's a little video of her. After a while I couldn't resist this little face any longer, looking up at me and begging to be scooped up! So I devised a way to make this whole thing a little more disabled friendly and Rue assisted me. I was pretty chuffed with myself and Rue for coming up with that. She's such a cutie and I'm really starting to feel more confident with her. Monday was a BIG day. So big it got a post all of it's own. Well technically the post covers Monday and Tuesday. 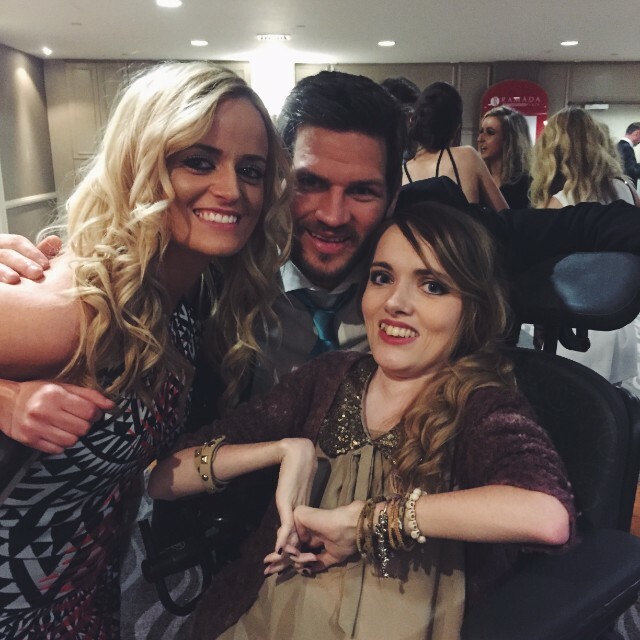 If you haven't already read what I got up to at the Belfast Giants Awards you can read it here. It was an amazing night and I'm pretty sure I won't be able to top it for a long time. I didn't include this in the post linked above but Tuesday evening was the first time I witnessed Rue being in heat. Hamsters go into heat about every four days. I hadn't noticed any changes in her before but this evening she was acting a little odd. At one point I had her out and she went completely still when I was holding her and put her tail up. I was petting her and she stayed like that for over five minutes. She looked as if she was going to fall asleep. Probably the most cuddle time I've had with her since I got her! Wish I gotten a photo but I was too afraid of disturbing her and cutting the cuddle time short! I was still shattered on Wednesday so I had a chill day with Eva. We watched a bunch of The Vampire Diaries and ate a bunch of junk. The day wasn't totally unproductive though as I did my craft for Thursday's post and put the post together. It wasn't exactly one of my successful crafts but people love a good try... right? You can check out how I ended up with the monstrosity below here. 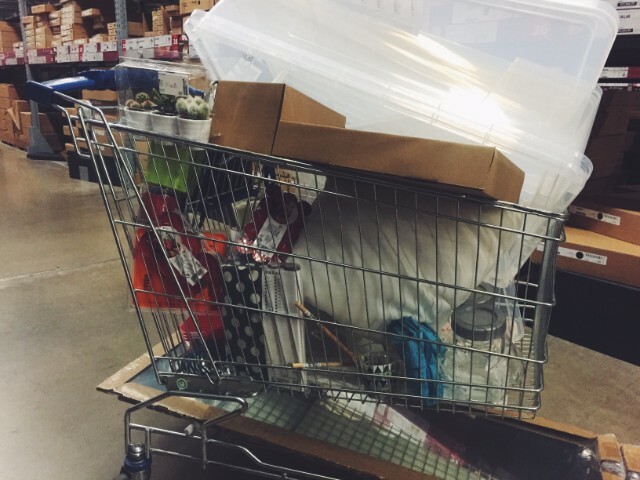 On Thursday we had a planned trip to IKEA with my aunt Karen. She needed to pick up stuff for her new house and Eva and I had some pet stuff to pick up. I wanted to get some stuff for Rue and Eva wanted to get some stuff for Ernie and Gary. Aunt Karen had some people coming out to do work on her house so we weren't leaving until around 5 or 6pm. Eva and I just chilled and watched The Vampire Diaries during the day before we had to get ready. I was really feeling my eye liner that day as I tried something a little different. I decided not to wear any eye shadow. 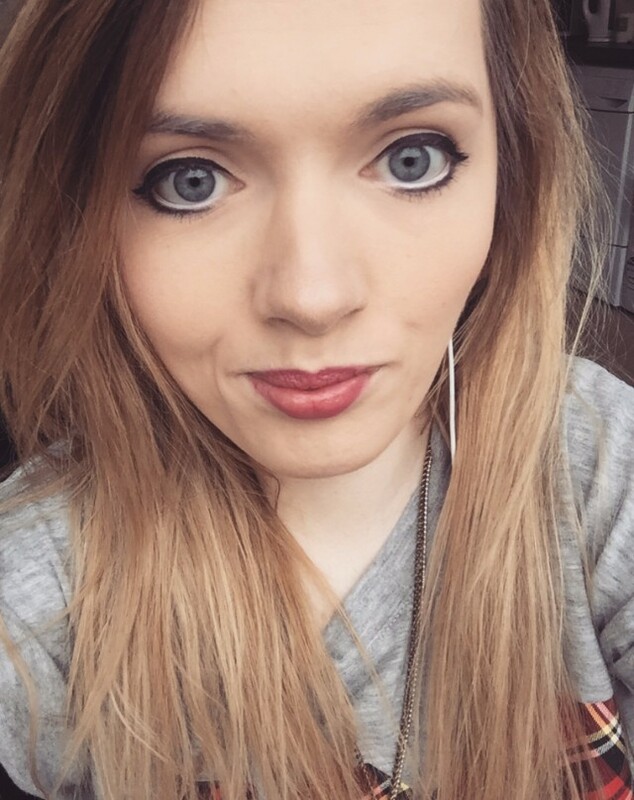 Definitely think I've mastered the liquid eye liner. My sister asked me had I used an airbrush app for the photo above. I'm not sure if that's a compliment or not. I hadn't. Just make up and a little bit of an Instagram filter. Really feeling the Aden filter right now. Anyway! We hit IKEA later in the evening and I think it will be the last time for quite a while. My bank account can't handle another splurge like that. We started off with the obligatory Swedish meatballs before setting off on the journey around the store. I got so much, I didn't even bother taking proper haul pictures. However this is mine and Eva's trolley. 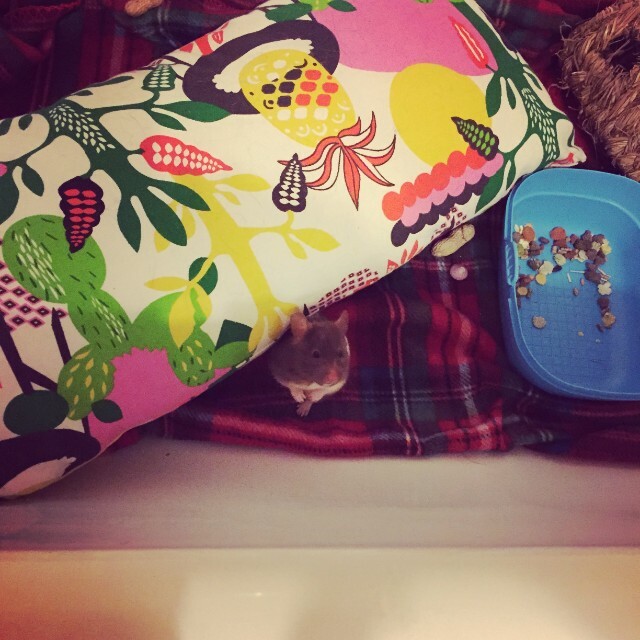 Some of the stuff I bought include two Samla boxes, one to make a digging box for Rue and one that was supposed to fit under my bed to keep all the hamster stuff in. However it didn't fit under my bed so it's now under Rue's cage. I got Rue a new digging jar, similar to the one she has bit a better shape. New duvet cover, mirror, wooden spoons for future crafts, something to make my candles in for a future post and a couple more baby cactuses. 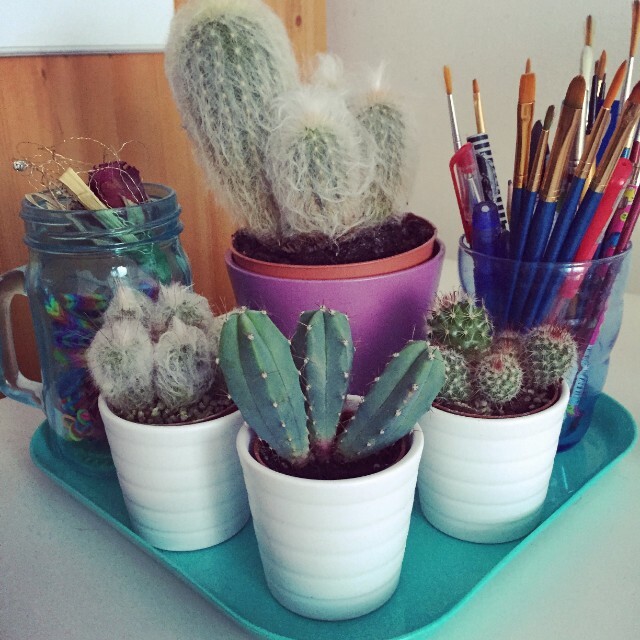 My two new cactuses were some of my favourite things I bought! I got a mini Dolores and one that isn't like my other two. I haven't came up with names for them yet so suggestions are welcome! They are the two on either side. I'm really loving my little cactus family at the moment. I'm hoping to repot them soon. Dolores has definitely outgrown her pot. She's starting to lean. After we got home I was so shattered. IKEA really takes it out of you! Friday was a good day. It was another quite restful day but after some breakfast and The Vampire Diaries, Eva set about making Gary his new home! It was fun to watch her use power tools. Edwin was really scared of the noise the drill made, poor boy. After Eva got into the swing of things it really didn't take her long to finish it up. For those of you that don't know, Gary is Eva's Giant African Land Snail. She's had him almost nine years now. If you want to read more about him you can check out his pet profile she recently did on her blog. I also got a little video when she first put him in his new home. There was still a couple of things to go in at this point, but he seemed happy nonetheless! Later in the evening I had Rue time. To attempt to curb her bar chewing I've decided to try and get her into more of a routine and get her out in the evening before she has a chance to start chewing. So I'm not getting her out while she's chewing and therefore reinforcing the behaviour. 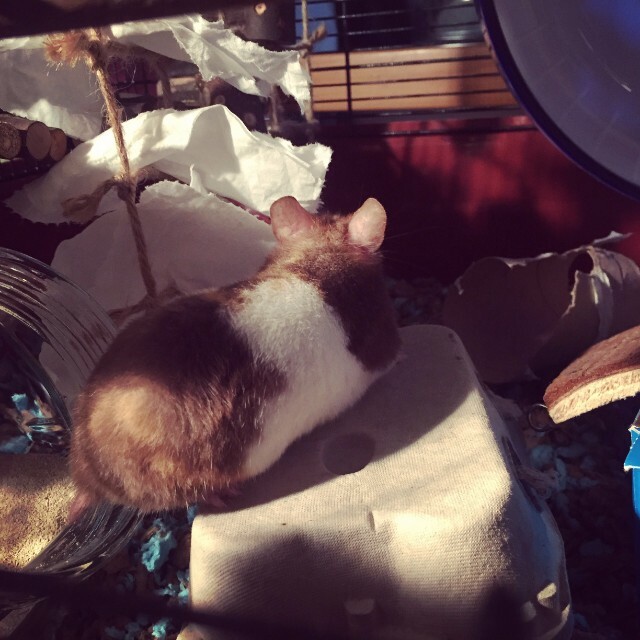 I ended up sitting by her cage for about thirty minutes until she decided it was time to wake up. She looked so confused when I got her out, like she didn't know why I was there. While I was waiting for her to wake up I put in her new sand bath. I think it was a hit! Here she is enjoying a meal worm in it. I had some petting time with her but when she was fully awake and starting to get hyper I moved her into her ball. She had a good run about the house. 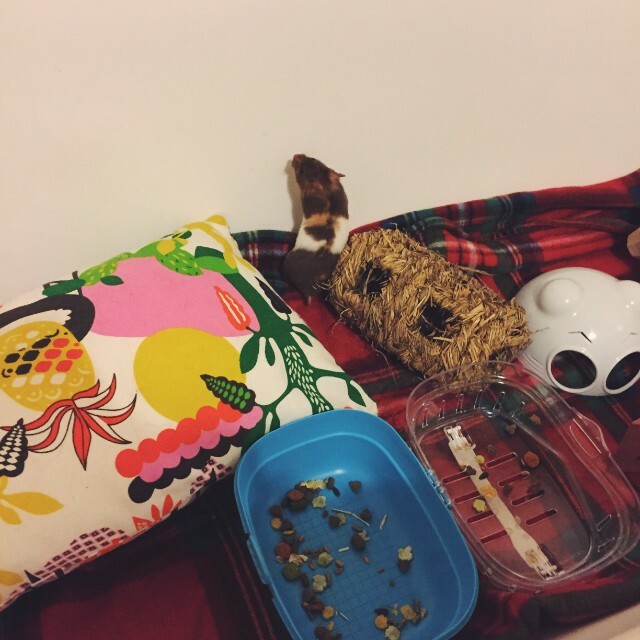 While she did, I set about moving some other things around in her cage. I also tried this idea I read on Hamster Central for a little game. 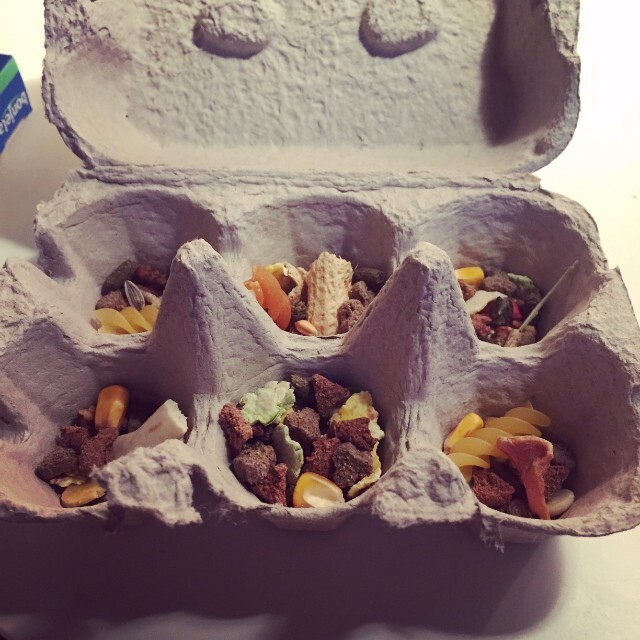 I put some foot and treats in an egg carton and closed it up and put it in her cage. I'm not sure she's worked it out yet, but hopefully she will. 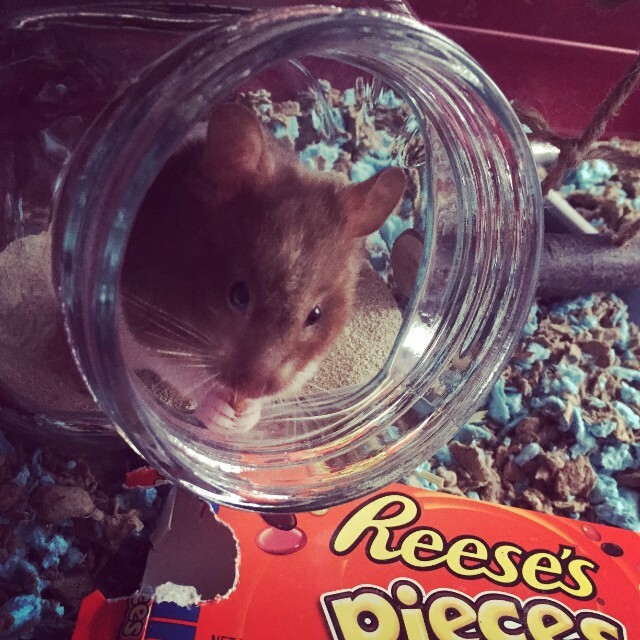 She worked it out when I put food in the Reese's Pieces box and closed it. Hopefully she'll get a hang of this too. After a good run around I put her back in her cage and she had a little nosy about at the changes I'd made. I'm obsessed with her little ears. They're so expressive. I could just nom them off her little fuzzy head! ...Ahem. Anyway! That was pretty much my Friday. I got up super late on Saturday. I was pretty shattered all week. I didn't wake up too late but I lay in bed and read until my dad had finished making the lunch. Can't beat starting the day with a good old Ulster fry. 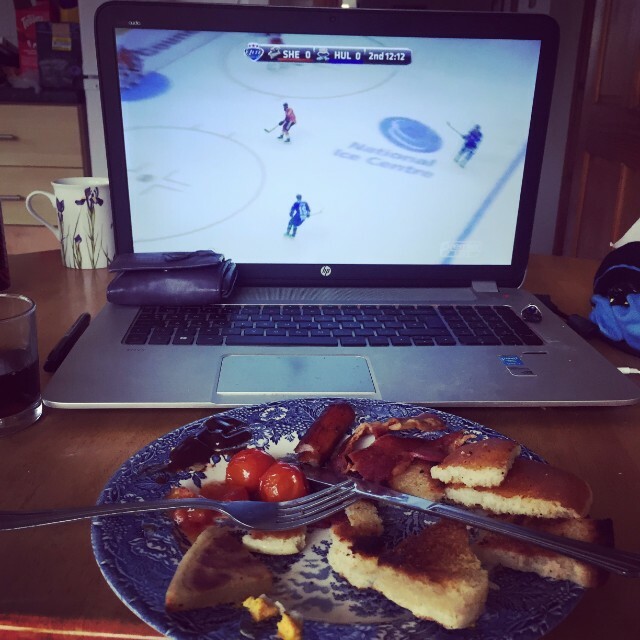 As it was also playoff semi finals day my fry was accompanied by an ice hockey game! Sheffield vs Hull. It was a pretty good watch despite neither of them being my teams. On Saturday the first of my cruelty free make up arrived! I mentioned a little while ago I am going to gradually start to shop cruelty free were I can. I'm not going to throw away my old stuff but make the switch as I run out. 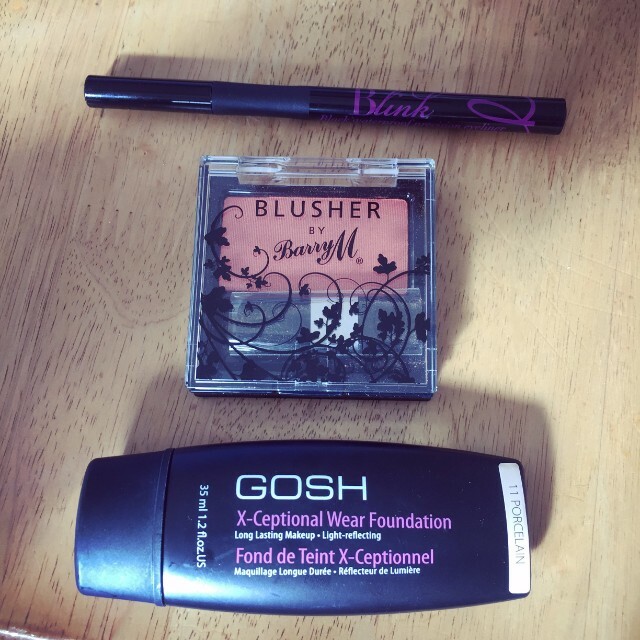 I have bought GOSH foundation before and know I love it. I'm looking forward to trying out my new Barry M liquid eye liner and blusher. Later in the evening I chatted online and watched the Belfast Giants semi final game. Eh... in short, we lost and won't be going to the finals. A disappointing end to a disappointing season but there's always next season. Onwards and upwards. Now I'm just looking forward to seeing whose coming back! So that was pretty much my week! 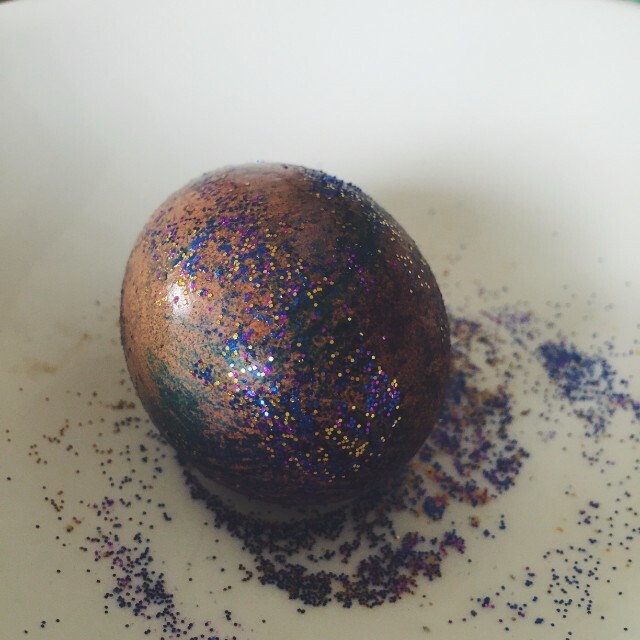 Hope you've had and continue to have wonderful Easter!